SHETLAND musicians and music-lovers will be in for a real treat this weekend, as Shetland Arts holds the first Folk Weekender festival from Thursday to Sunday, writes Alex Garrick-Wright. The festival, which is being held this year instead of Fiddle Frenzy, will see a mix of music workshops, discussions and gigs that cover a wide range of folk-music tastes and interests. Curated by renowned Shetland fiddle player Kevin Henderson (who will also be curating Fiddle Frenzy 2019), the festival will also feature such celebrated musicians as award-winning Orcadian singer/ songwriter Kris Drever, mandolinist and composer Laura-Beth Salter, Shetland folk music-mainstay Margaret Robertson and local fiddle virtuoso Maurice Henderson. The events will kick off with a free Opening Session in Mareel on Thursday evening, featuring Kevin, Laura-Beth and Kris, who will also be wowing the audiences in Saturday night’s Big Gig, and Sunday’s Family Friendly Session. In addition to listening to music, there is a heavy focus on learning it. This impressive roster of professional players will be teaching keen musicians in a number of workshops over the course of the weekend, from a rare chance to learn some fiddle from Kevin Henderson, to mandolin with Laura-Beth Salter, to music recording with Shetland Arts music technician and accomplished musician Tim Matthews. 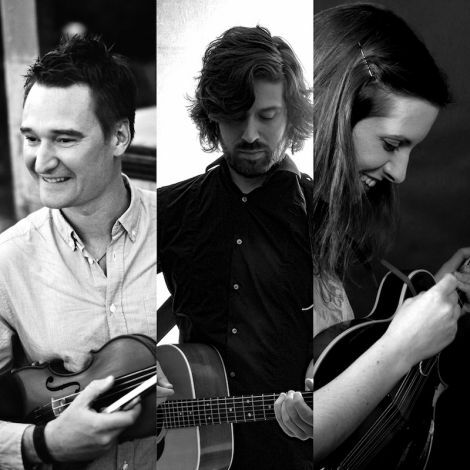 More advanced traditional musicians looking to expand their range will be very interested in a workshop in musical collaboration with Kris Drever and Kevin Henderson, as well as Margaret Robertson’s workshop in arranging traditional music. Discussion is also a key part of proceedings. Maurice Henderson, who in addition to his fiddle prowess is an engaging speaker and storyteller, will be recounting his musical quest through Greenland to find the source of a famous folk tune Willafjord. From finding forgotten footage of Greenland whalers having a jam to playing with the locals through the summer nights, Maurice’s journey will surely entertain and intrigue musicians and non-musicians alike. The Groove Is Not Trivial, a documentary about Scottish fiddler Alasdair Fraser’s personal journey into folk music, will be on in Screen 1. The film, which has been lauded at a number of festivals including the Edinburgh International Film Festival, will be followed by a Skype Q&A with its star. A discussion panel, Why the Folk, will take place on Sunday. Kris, Kevin, Laura-Beth and multi-instrumentalist singer-songwriter Jennifer Sturgeon will be speaking about their journeys into professional folk musicianship, their inspirations and the ongoing influence of folk music, chaired by this correspondent. Tickets are available from Shetland Arts’ website. Festival membership is available with purchase of a ticket to Saturday’s Big Gig, which gives a 10 per cent discount on tickets to all events and workshops. Shetland Arts programme manager Floortje Matthew picked out the Big Gig and In Search of the Willafjord as expected highlights. “I always love a good gig,” she said, “and I’m delighted we’ve got a triple billing on Saturday night of three folk superstars – Kevin, Kris and Laura-Beth Salter, on her first gig in Shetland,” she said. Music lovers, she said, will be spoilt for choice with the range of events and workshops over the four days, with plenty of opportunities to not only listen and learn, but to get involved too.